India will purchase five regiments of Russian S-400 Triumf Air Defence Missile System (ADMS) valued at over six billion dollars. The contract is slated to be signed after two months in December in New Delhi as the Contract-Negotiation-Committee (CNC) comprising Russian and Indian officials, which has been working furtively since July, has wrapped up its work. The Union finance ministry has cleared the purchase and the file is with the Prime Minister’s Office. It will be a government-to-government purchase with no provision for transfer of technology. 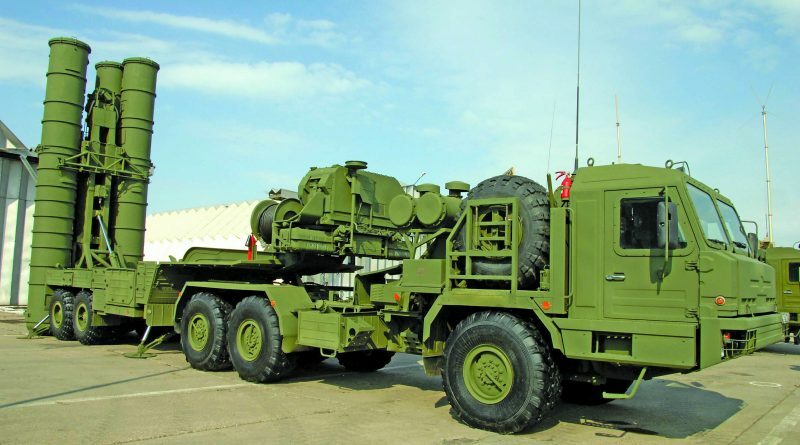 Russia has assured that the Original Equipment Manufacturer (OEM) — Almay-Antey Air Defence Corporation — will deal directly with the user, the Indian Air Force, to ensure timely product support. At present, all product support including spares and overhaul is done through Rosoboronexport, which is the official Russian export agency for arms sales. Since India hopes for an early delivery of S-400, it has not considered Moscow’s offer of credit line for the purchase. Instead, cash will be given in tranches. The first, or perhaps two regiments, could be delivered by early 2020. Each S-400 regiment comprises two batteries with four launchers each; this makes a total of 40 launchers for five regiments. Interestingly, India has ordered a total of 1,200 missiles in the very long-range and long-range category, with none in the medium and short ranges category. There will be fewer very-long range category missiles as compared with the other category. S-400 can fire four different missiles: the very long-range 40N6 missile with a range of 400km; the long-range 48N6 missile with a range of 250km; the medium range 9M96E2 with 120km range; and the short-range 9M96E with 40km range. The 40N6 is ideal to kill enemy Airborne Warning and Control Systems (AWACA), while the 48N6 will be able to destroy all air objects including airplanes, helicopters, cruise missiles and ballistic missiles up to the speed of 4,800 meters per second. The ballistic missiles are killed 60km away from the target; this includes nuclear armed missiles which once destroyed will leave a thick nuclear haze over the target. The ideal ballistic missile for destruction could be Pakistan’s Nasr which has been touted as the answer to Indian Army’s Cold Start doctrine on the international border, and the sub-sonic Babur cruise missile. Five regiments of S-400 will protect two to three major Indian cities including the capital city of New Delhi. In terms of configuration, India would need two surveillance radars each with phased array and multipath radar with range of 600km across 180 degrees to track up to 100 targets simultaneously. Moreover, each regiment which comprises two batteries with eight launchers will require one sectoral radar to acquire hostile target and pass its coordinates to the sectoral command post. Each Tractor Erector Launcher (TEL) which houses the missiles can carry four 48N6 missiles or two 40N6 missiles. 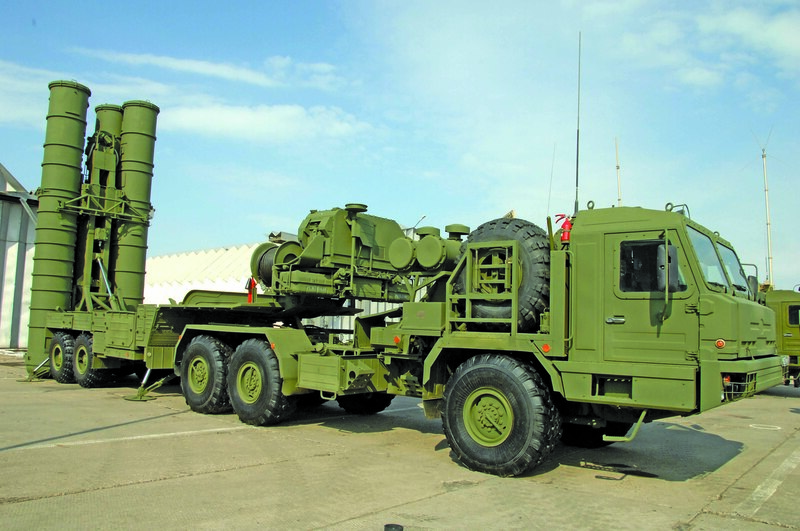 There is a queue for purchase of S-400; while priority goes to the Russian armed forces — which have been inducting the system since 2008 —, China and Turkey have already paid for the purchase. China has sought just one regiment of S-400, perhaps to cover its Taiwan flank. Moreover, there are reports that Algeria too have paid for two regiments of S-400. According to Russian officials, Saudi King Salman, who was recently in Russia on the trip with deep geo-political significance, spoke with the Russian President for an early purchase of S-400. The purchase of S-400 ADMS — which is known as SA-21 Growler by its NATO name was previously called S-300 PMU-3 — by India has signalled two things. One, India, which has adopted strategic and operational defensive posture against both Pakistan and China needs to protect its metropolitan cities and other high value targets from hostile AWACS (which have the dual purpose of air defence and offensive air operations), ballistic and cruise missiles. China has plenty of these assets and given its inter-operability (ability to fight together for common mission) with Pakistan, has transferred a large number of these to its closest ally. That India is willing to purchase the S-400 by cash payment is testimony to the hope that Russia might place India ahead in its exports queue. Moreover, India, which was keen that Russia integrates indigenous Akash short-range anti-missile system with the S-400 has now decided to save time by first going ahead with the procurement. In the Russian armed forces, the S-400 has been integrated with the TOR system for short range target destruction. Russia was, therefore, keen that India buys its TOR system too; but this has not made much headway at this juncture. The BMD missiles, according to him, would be able to hit and kill hostile ballistic missiles both outside (exo-atmospheric) and inside (endo-atmospheric) during its trajectory which re-enter the atmosphere after first entering space on its launch. The purchase of S-400 ADMS underscores that India has little faith in the indigenous BMD. Given this, it is time that technical audit be done on all DRDO strategic systems including the BMD, Agni series of missiles, and of its claimed anti-satellite capability to hit satellites in all orbits — low, polar and even geo-synchronous. Dr Saraswat had told me that unlike China which has repeatedly demonstrated its anti-satellite capability by killing of its own legacy satellite, “We will have no technical benefit by actual flying test of anti-satellite capability.” It should be remembered that unlike conventional war systems which are tested by the users before induction in their inventory, the strategic systems meant for nuclear weapons deliver are not tested. India has little option but to trust its DRDO on this crucial aspect.